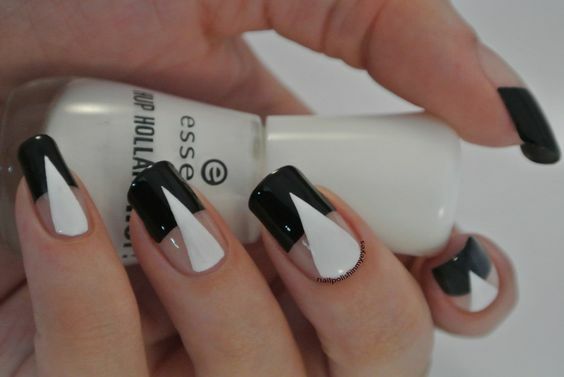 Negative space is created when we do not paint a part of the nail and do the rest of the space. 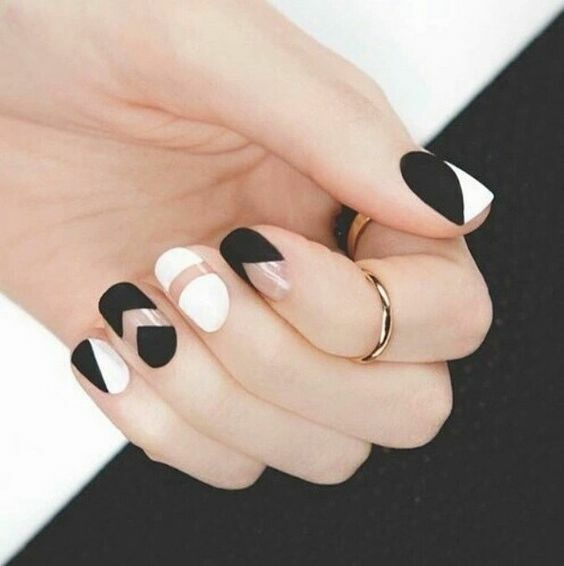 The transparent uncolored part creates a sort of negative space in terms of designing, and therefore this style of nail art is termed as negative space nail art. 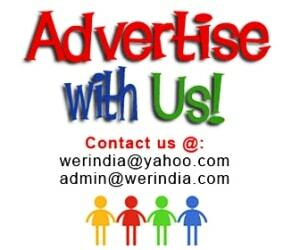 Here are few styles which you can try…. 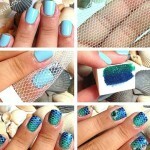 Multi pattern Design– Pick up any two shades and make different pattern on every finger like the picture below. 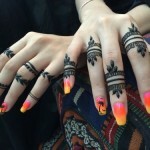 In some fingers the design has been kept transparent, giving a positive and negative feel. 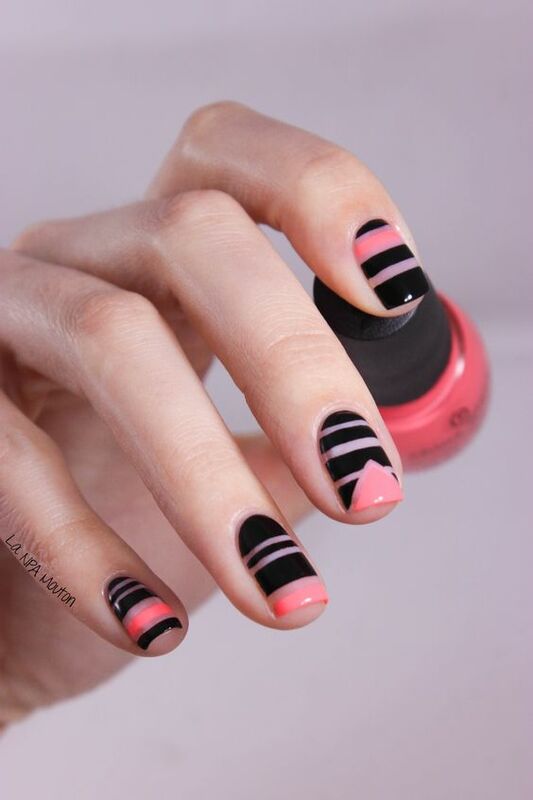 Inspired by lines– Fine brush can be used to achieve this result, if you are trying it at home. 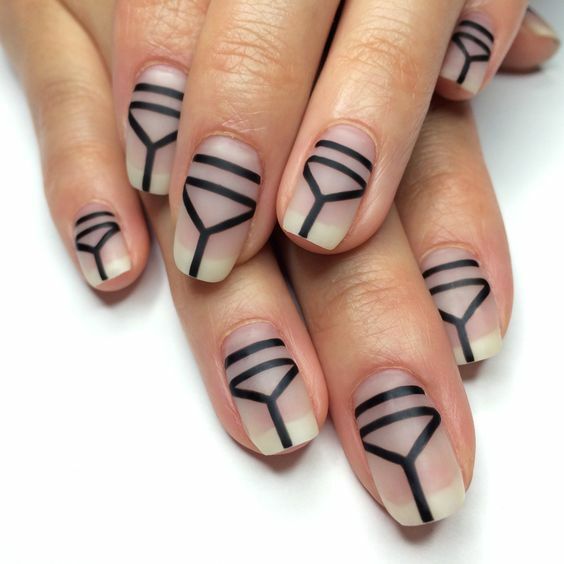 The geometrical shapes and lines create a beautiful pattern. The half half concept– Dividing the work area horizontally into two parts, and working out a pattern in two different shades. 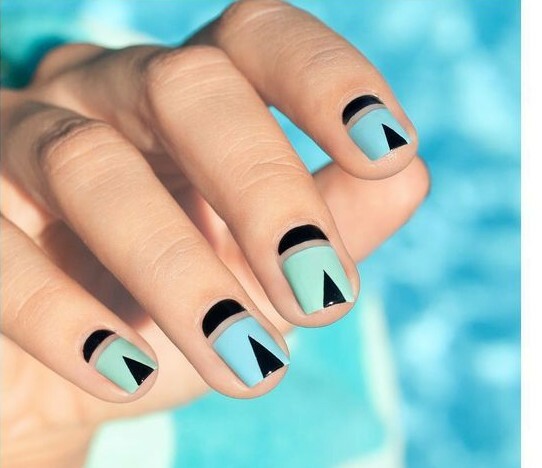 The upper half can be done in one color and the other half can have a triangle pattern like below extending upwards, or you can also play with lines, or polka dots or any other design. 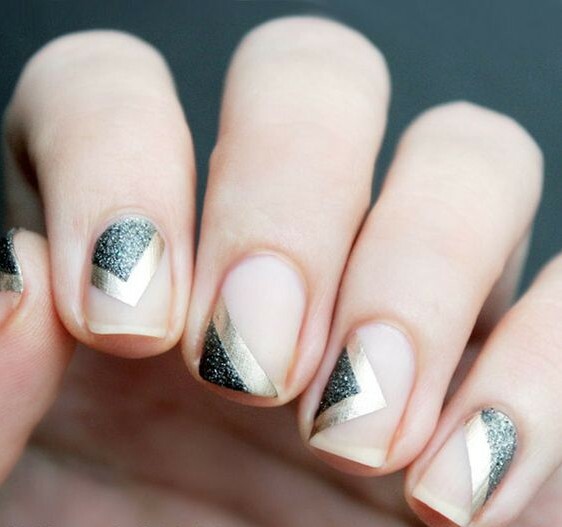 The glitter trend– Glitter and metallic nail paints are in trend, so make the most of it by creating a pattern like this for the negative space design. 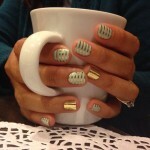 Combining glitter with metallic shade nail paint is a good idea. Simple Triangle pattern– Triangle forms the base pattern for this design. A simple triangle is done in a positive and negative, and single and multi pattern to form a beautiful design. 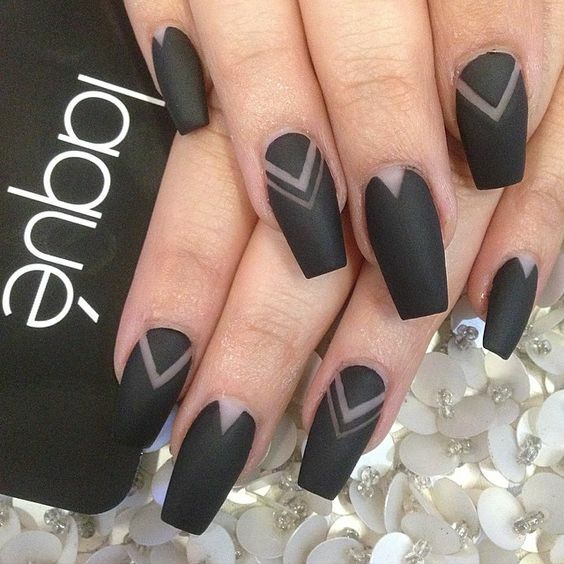 Double shade triangle design– Taking an inspiration from the triangle shapes, this design is done in two shades, you can pick up a metallic color in place of the second color for a party look. 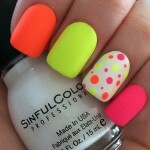 Neon Burst– Neon shades are also in fashion and we can see them being used for almost everything. Pair any neon shade with black and it will really compliment each other.